More posts by: MommyWizdom, Russ, Napaboaniya and Dianne. Ha - what a great title! Nice WW! Cheers. Aaaaw! So cute! The age of the photo made it more priceless.Happy WW! 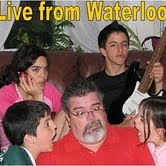 hahaha... is that you when you were younger? cute!! Yay, I have five toes on this foot!!! Hey I wasn't even born when this picture was taken, although I would be before the end of 1967. Cute picture! Still that flexible? Haha what a cute photo! That is so < HREF="http://earthlyexplorations.blogspot.com" REL="nofollow">cute<>! Looks like a very very old photo! Are you this toe inspector? Too cute! Nothing like a baby discovering things for the first time. 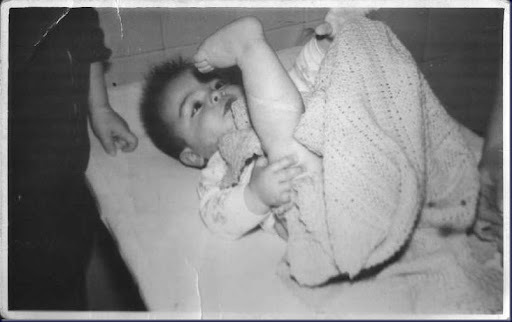 Love old photos- who is the cute baby discovering their toes? Happy WW! Supongo que habras conservado la elasticidad! Ay que cosita mas linda... eres tu. cierto? isn't it crazy how flexible we are at that age? Great vintage photo! OMG... did I say "vintage"? I was nine years old when that was taken. I guess I'm "vintage" too. They look pretty good to me. I guess they passed inspection. Great photo! Kids are so inquisitive. And the black and white reminds me of simpler times.Thanks for sharing this photo, and thanks for dropping by my site. Precious! Happy WW and thanks for stopping by my blog.